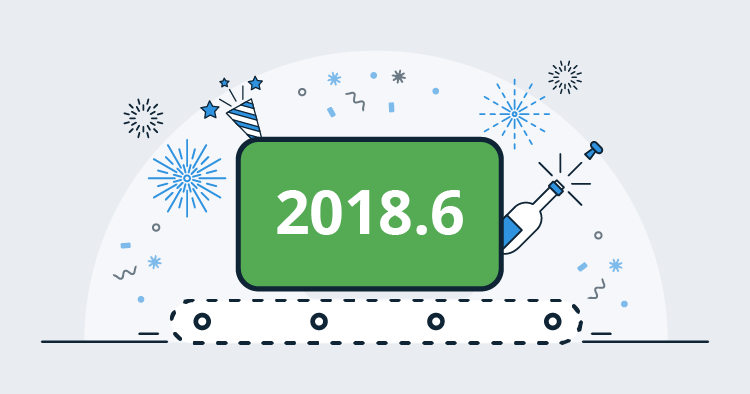 This month, Octopus 2018.6 includes two UserVoice community requested improvements, and it's also building the foundation for some fantastic new features that should be available in the upcoming months. Keep reading for the full details! First up, we’re introducing a couple of smaller UserVoice community requested improvements from our UserVoice site. The first UserVoice suggestion is a nice improvement that lets you specify control types for prompted variables. Previously this was not available as the variable could only be a text input, but now you can also use checkboxes or lists. Another UserVoice suggestion is similarly small yet valuable, you can now set sensitive output variables. This change is an excellent addition to keep your sensitive data secure, and it's handy in dynamic provisioning scenarios when you generate passwords on the fly and then use them throughout your deployment. Next, this release is building the foundation for two new features designed for larger teams and companies with big Octopus instances. They’re designed to help our customers scale with thousands of projects, environments, and deployments. This month we're including backend changes for a more extensive feature, called Workers, which is coming soon. The changes are technical and transparent, but it's an excellent opportunity to review the feature. Workers can be used to replace and extend our feature to run steps on the Octopus Server. 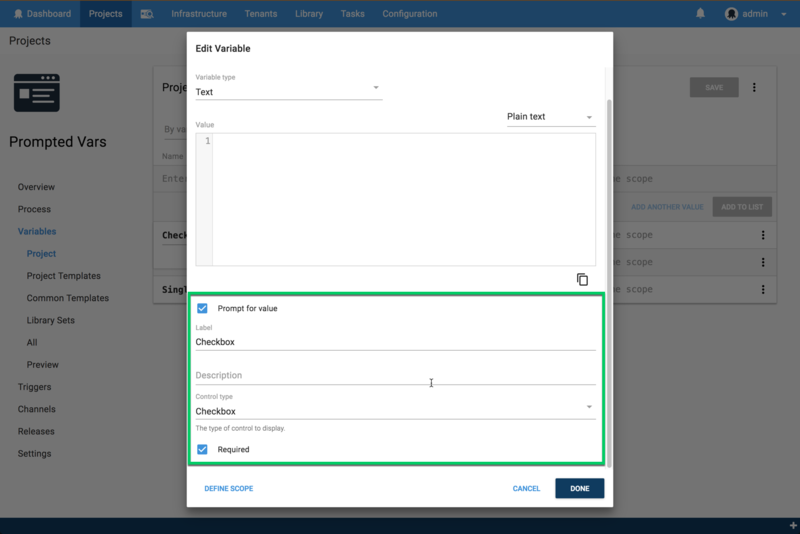 This is something we introduced in Octopus 3.0, and it's commonly used to execute one-off tasks like database scripts or other things that don't need to run on a specific machine. 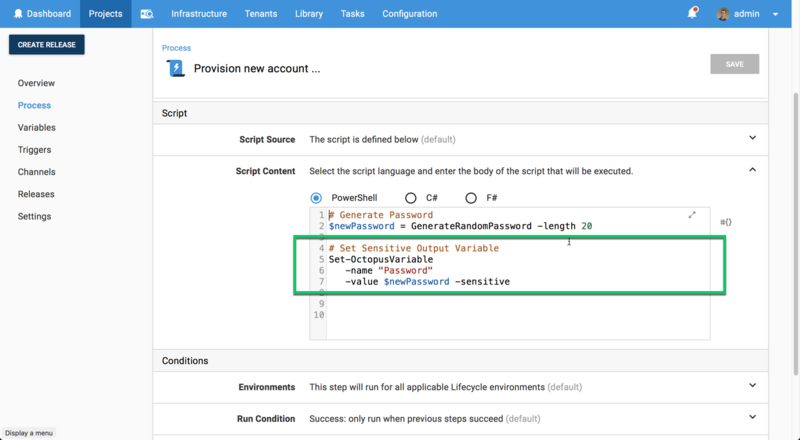 Workers build upon this with improved security whereby custom scripts aren't run on the Octopus Server during deployments. 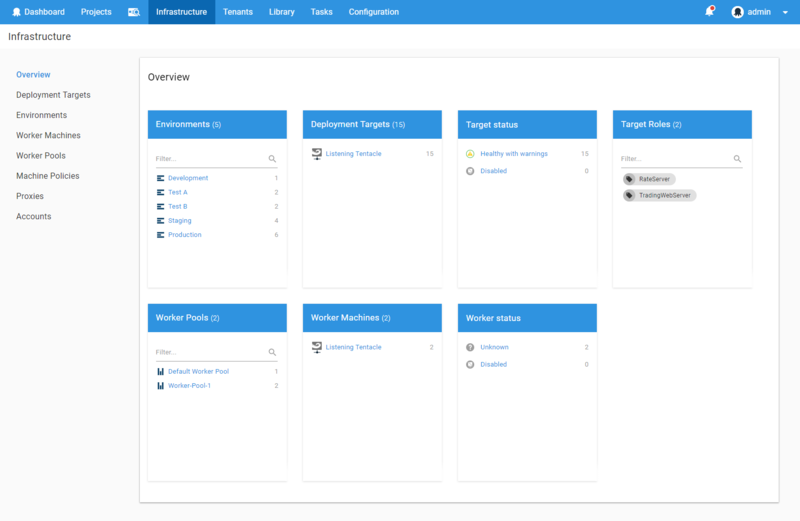 And it can also improve performance by shifting deployment steps from your Octopus Server onto a pool of workers, leaving the Octopus Server to orchestrate the deployments. There are number other benefits that we'll talk about when we launch this great new feature. NOTE: This feature is optional. You can leave everything just the way it is, and your deployments will keep working. We call the Octopus Server the "built-in worker" after all! Workers are an optional feature you can add to your deployments as you see fit. We've also included the initial backend changes for another significant feature, called Spaces, which is also coming soon. Spaces allow you to create your own custom world within Octopus just for your team. So you only see your projects, your environments, and your machines. This is incredibly beneficial for large companies with hundreds of developers, testers, and managers using Octopus or simply smaller teams with a lot of projects and environments. It can be difficult to find the details that are important to you, but that changes with spaces, which is coming soon. Summary: if you are already happily using Octopus Deploy, nothing should change for you! This change only affects customers who have installed Octopus Deploy after 31 March 2018 and were planning to use the free Community Edition. If you were already using Octopus Deploy before 31 March 2018 nothing has changed for you. If you already have a commercial license for Octopus Deploy nothing has changed for you. If you are already using the free Community Edition, don't worry, it will keep working! And yes, you can upgrade to newer versions of Octopus Deploy using the existing Community Edition limits. If you started a trial of Octopus Deploy before 31 March 2018 nothing has changed for you. Your trial will automatically downgrade to the free Community Edition. If you started a trial of Octopus Deploy after 31 March 2018, you will need to purchase a commercial license once your trial concludes. Don't worry, we've introduced some very affordable commercial licenses. If you have any concerns at all, please don't hesitate to contact us. With the foundations for workers going in, we're removing the Octopus.Server.exe external-worker command which allowed a single Tentacle to replace the built-in worker. 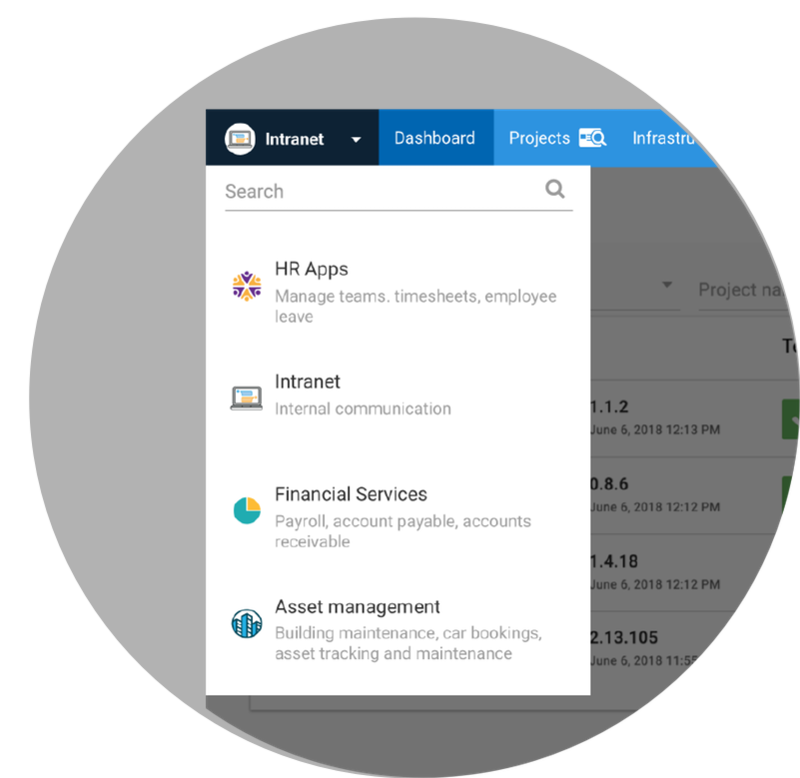 If you are already using Tentacle as an external worker, we will automatically migrate it as the first worker in the default worker pool. 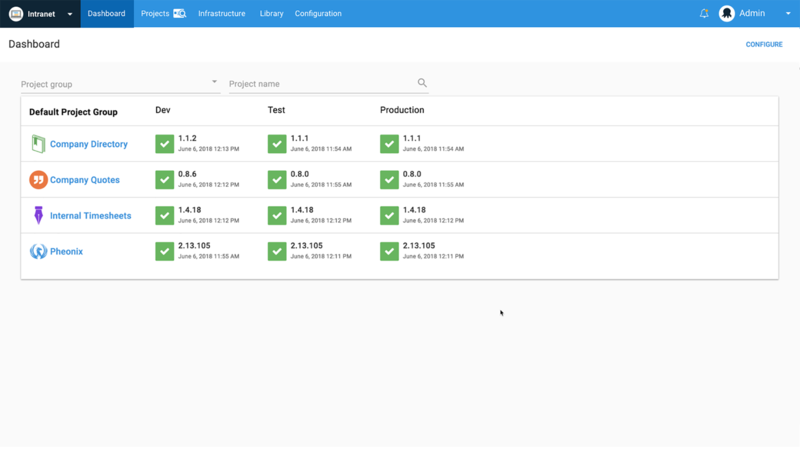 Learn about managing external workers in Octopus Deploy 2018.6 and newer. Also, because workers, like deployment targets, can be health checked, one of the arguments to health check and upgrade tasks has been tweaked. If you use the UI, nothing changes. If you insert tasks through the API with an argument, e.g. like ...ExecuteHealthCheck(environmentId: "Environments-21") from the clients library, nothing changes. But if you create health check or upgrade tasks with no arguments, this now means for all deployment targets and all workers. Use restrictTo: "DeploymentTargets" for all deployment targets and restrictTo: "Workers" for all workers. Otherwise there aren't any breaking changes in this release so you can upgrade worry free! This release contains some optimization for our Machine table that may take some time depending on how many machines you have, so please ensure you allow time for this to complete. Otherwise, our standard steps for upgrading Octopus Deploy apply. Please see the release notes for further information.